(Bloomberg) -- Rarely has the post of environment minister garnered so much attention in Lithuania. This time, however, the gender of the next person to fill the role will determine whether or not the Baltic country claims the dubious accolade of being the only European Union member with an all-male government. 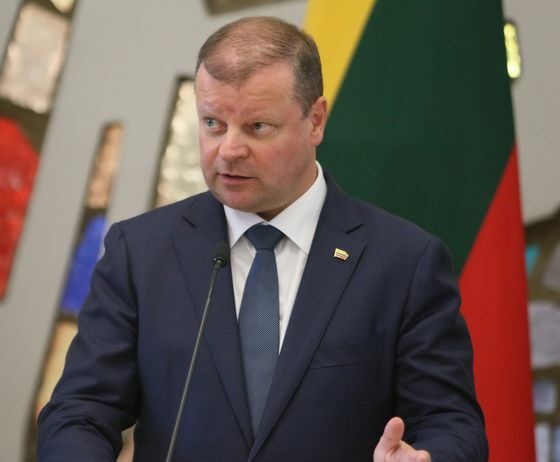 After a surprise cabinet shake-up late last year, Prime Minister Saulius Skvernelis has already replaced two female ministers with men, leaving only the environment minister’s job vacant. Skvernelis says he’ll fill it “soon,” and seems to care little about criticism in local media over the prospect of a government containing no women. EU governments tend to be about one third female. At the extremities there’s Hungary, where only one minister is a woman, and Spain and Sweden, where women outnumber men. While Lithuania has a female president, Dalia Grybauskaite, almost 80 percent of lawmakers are men. Skvernelis says his administration “loves, supports and cherishes” women, with “many” serving as deputy ministers or chiefs-of-staff. If he goes with a male candidate for the last open slot in his government, some may find that hard to believe.